COMMENTS: official series since 1930. Red on white = government since 1962. 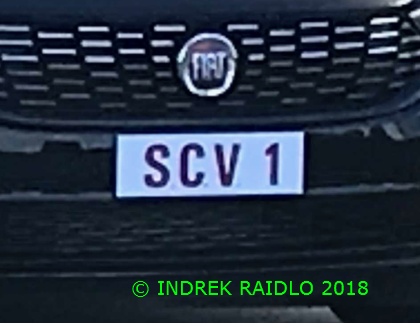 S.C.V = Status Civitatis Vaticanae S.C.V. 1 is His Holiness's plate during official visits abroad.